Packed with savory and sweet ideas for vegan desserts, breads, and even mains such as dairy-free pizza and eggless quiche, every recipe uses straightforward techniques and easy-to-source ingredients, and has a beautiful photograph to tempt your taste-buds. Authors Jérôme Eckmeier and Daniela Lais are longtime vegans with a passion for cooking, teaching you to bake irresistibly good treats such as gooey vegan brownies, light and fluffy vegan pancakes and eggless cakes, or a smooth and creamy vegan "cheesecake." Use their clever tips to avoid disappointing, dry, or unrisen results, and follow their instructions to make your own everyday vegan substitutions for mainstream baking ingredients such as cream cheese and buttermilk. With Jérôme and Daniela's reassuring guidance, even beginning bakers will triumph in the kitchen. 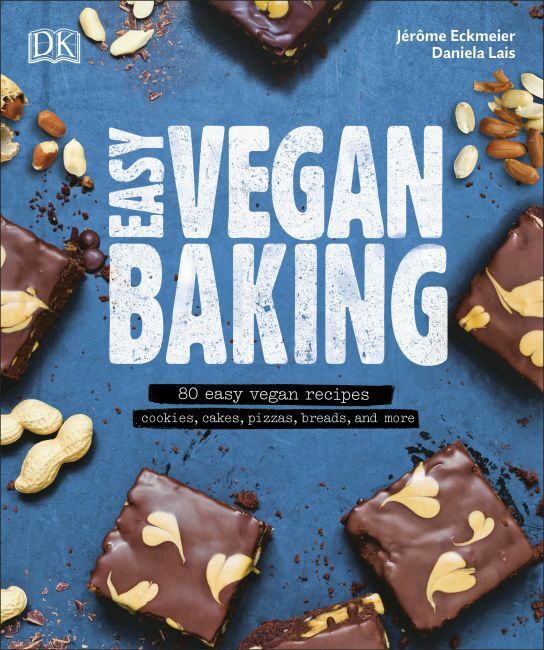 So whether you're thinking about going vegan, are a longtime vegan or vegetarian, are egg- or dairy-free because of food allergies, or are simply looking for healthier alternatives to your favorite treats--look no further than Easy Vegan Baking.